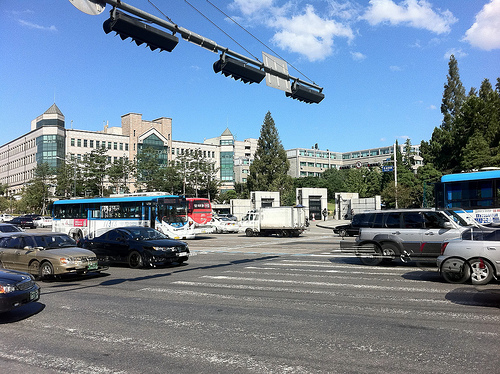 At Yonsei University in Seoul, there are no green fields, except for the soccer field, and even that area is reserved for PE classes and the varsity soccer team. 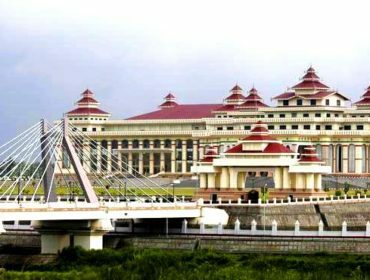 But students never really care, since they are used to being surrounded by skyscrapers, honking horns, and smog. To catch a quick respite, students meet at cafes or pubs nearby—no one lies down on the patches of grass with a book in hand; girls actually avoid getting tan and losing their pale countenance which is in vogue these days. And, really, there isn’t much green for students to just lie down on and relax. The people who live on campus are considered somewhat rustic, for the limited school housing allots rooms to only those living outside the city. For students with morning classes, the 500 meter dash starts from the subway station. Girls sprint no matter how high their heels may be, for they’d be wasting money on a taxi that would most likely get stuck in traffic at that hour. 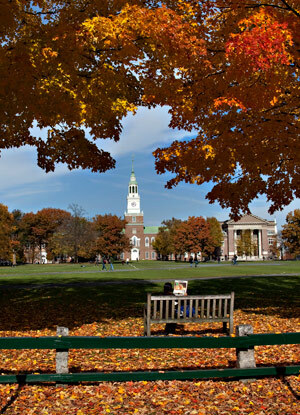 So when I printed the words “Dartmouth College” on my exchange student application, the first image that came to mind was of a green field rolled out in front of a pristine white clock tower (the typical image many Koreans conjure when visualizing the “American” university). 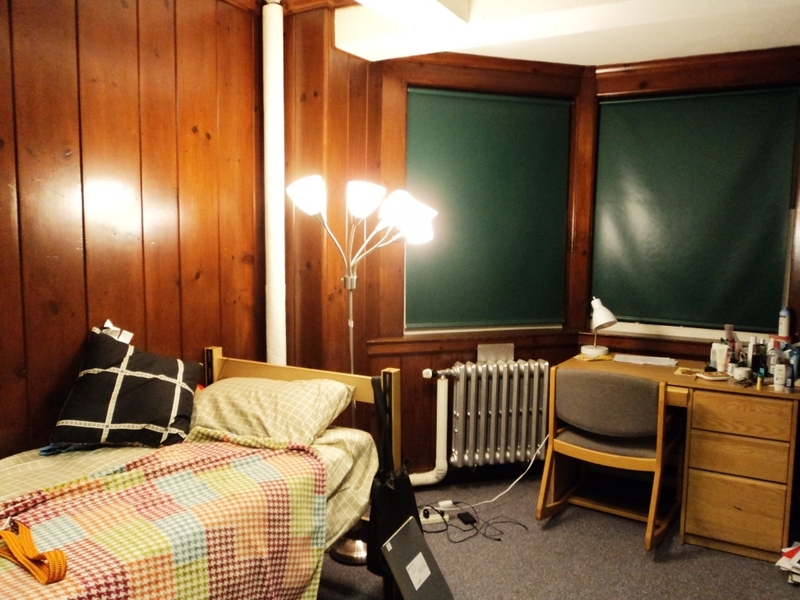 The author’s dorm room at Dartmouth College. Too shocked to reply, I rummaged through my suitcase for the new hairdryer I had only used once. After shouting, “THANKS!” and making me flinch again, she ran into the bathroom down the hall and I heard the hairdryer whir to life. After a few minutes, she knocked again, returned the dryer and introduced herself as Ashley. In an it’s-a-small-world moment, I found out that she had been a mentor of a student from my university last year. A few days later, someone knocked again. 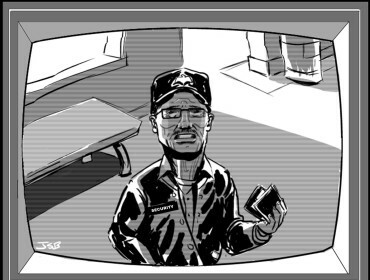 This time another female student, wrapped in nothing but a short white towel, came inside to ask the password to the women’s bathroom lock. She obviously didn’t notice my wide-eyed and jaw agape expression as she casually introduced herself as a person who lived down the hall. We began to greet each other in the hallway after that. Yet, born and raised in an Asian metropolis where people are wary of opening the door even to deliver ymen, due to news reports of serial rapists and killers in disguise, I was surprised, but also very intrigued by the open and direct students. I guess these were just typical ways you made acquaintances here, or my unconventional welcome to Dartmouth, or just plain culture shock. 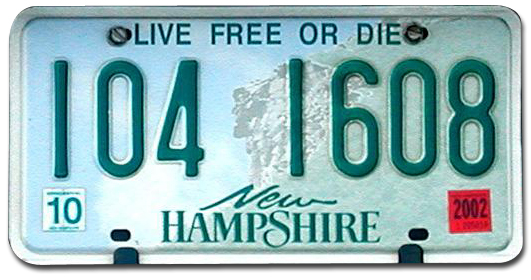 Below are just some of the many aspects I found fascinating during my first weeks across the world, in Hanover, New Hampshire, where all the license plates read LIVE FREE OR DIE. Interestingly, unlike the female students back home who totter to class in stilettos and miniskirts, it’s OK to be clad in sweats and hoodies here, clothes one would never wear outside of the bedroom in Seoul. After high school, Korean students, especially females, are socially expected to look “transformed” — that is, feminine. Many forgo breakfast to put on eyeliner, straighten their hair, and drag their heels to school (well, except during finals week, when such attire becomes “acceptable”). Backpacks are used only when you have too many books that may stretch the leather of your Louis Vuitton bag. Yet, here, I am constantly surprised by how comfortable the students look in sweatpants, backpacks, sneakers, and the unattractive but sturdy “bean boots” that local students advise me to buy to survive the long New England winter. Utilitarianism seems to win when it comes to matters of beauty. It makes life much easier, too. 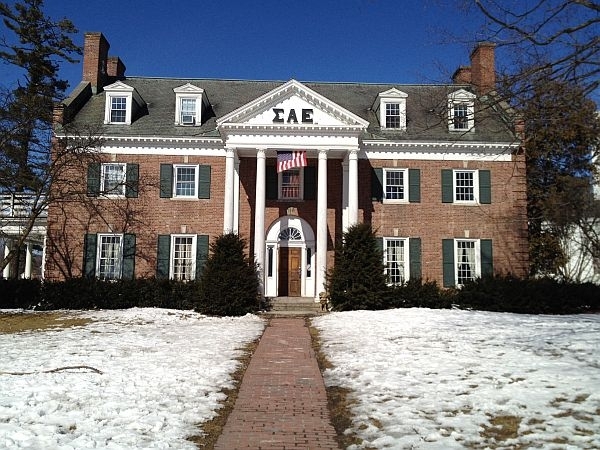 The Sigma Alpha Epsilon fraternity house. It was true when my upperclassmen exchange students said Hanover was as big as an apartment development in Seoul. But everything a 20-something would need is here…even the parties. Though a party at a frat house cannot be compared to the mega-clubs in the city, it’s sometimes more convenient to enter without makeup and heels (having a separate pair of “frat shoes” would actually be very hygienic while pattering around the floor, damp with the strange smell of the men’s room atop of the beer dripping off the pong tables along with the chlorine that one cleaning brother is pouring onto the floor). Frats may be essential for college students who need to release their energy on something besides the paper due… tomorrow. The only regular clothing store in town has just closed, which makes Dartmouth students seem even more patriotic of their alma mater, since the only option of buying clothes now is the university clothing store. Well, The North Face store is also at the end of the block (where the town ends). Because many students wear North Face fleeces around campus, they are also one of the most stolen items on campus… The one movie theater in town does show all the newest releases, and those going for the highbrow films can enjoy them at the school arts center. In Seoul, if you enjoyed a drink with friends or even stayed after classes to study at the library, and had a 9 a.m. class the next day, some would definitely reconsider going home and instead doze for a few hours in the 24-hour reading room. 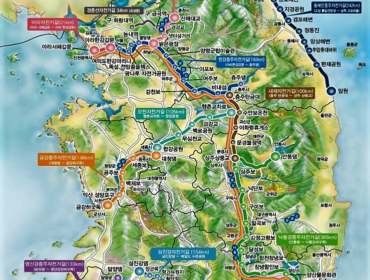 Living at home for most Korean students may entail some benefits such as home-cooked food, but those (myself included) living on the outskirts of Seoul, or living in the posh streets of Gangnam would give up the warm meal to escape the tiring commute. For me, getting to class at 9 a.m. would mean getting up at 6, getting out of the house by 7, and gasping for air on the overcrowded subway along with the other millions of commuters, then transferring to another bus, then walking up a concrete hill for five minutes. The world seems much rosier when you can sleep until five minutes before class. But I have found out that it can make you a lot heavier too. 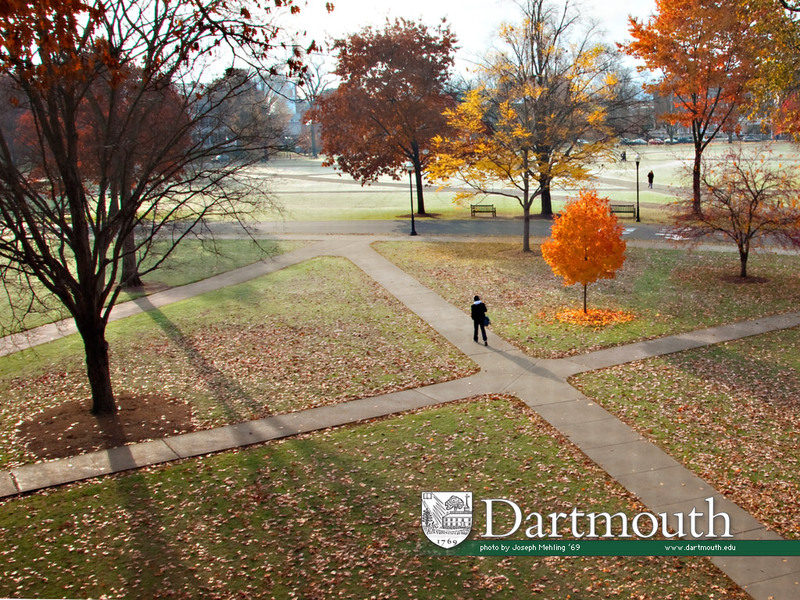 The Green at Dartmouth College. “Blitzing” does not refer to Nazi bombings, but the bombardments of the hundreds of spam/emails filling your campus email inbox. The “HOP” does not refer to any dance, but the Hopkins Center for the Arts (perhaps you could learn African folk dance there), and “FOCO” is not a fancy swear word, but a convenient way to abbreviate the “food court” on campus, a useful abbreviation especially when you are too starved to speak after participation-intensive classes. Looking for somewhere to go on a Friday night? Join the “Shmob,” the freshmen mob that aimlessly and sometimes pitifully knocks on every frat on “Frat Row,” hoping to be let in. But when you hear sirens outside, better get out before you get caught drinking underage (21 is legal here) by the “S&S” patrolling around campus, or even worse, the “H-Po,” for then you’d spend the night away from campus, for sure. Still thirsty? Go grab a cocktail at a “Tails” going on in one of the seniors’ apartments. Feel free to wake up late the next day, for there’s the “BFAB” where you can grab a heap of bacon, eggs, and muffins, an entire breakfast for a buck, while socializing with your floormates who live in the same “cluster.” There’s still the “Awk” silent moments when I blankly stare at a student because I don’t understand. There’s still lots to learn, but I’m getting there, and conversations do flow much faster. I knew that Psy had performed at the MTV Music Awards and was popular in LA, but at Dartmouth? For the next week I was pleasantly astonished to see Indian-American students dancing to the Korean song on the Green, students giggling at the movie at the library, and watching the Dartmouth Ski Team’s music video parody on Youtube. Psy’s song may probably be the closest thing to home I would get here, but at least now I know that I have something in common even with the guy who lives upstairs (who also enjoys wearing denim skirts and tights to class…) So here’s to an unforgettable year ahead. Dartmouth Style!